To continue my apparent Great Lakes phase, I’ve made a map that looks like it was assembled from a stack of punch-cut cardstock paper layers to replicate lake bathymetry, like these eye-watering delights. Here is a how-to post if you are curious about the process or would like to download the source project, the data, or the image textures. P.S. Here’s a version with some embossed pressed-labels (and some sneakily feathered-in details around Detroit, Buffalo, and Drummond Island). 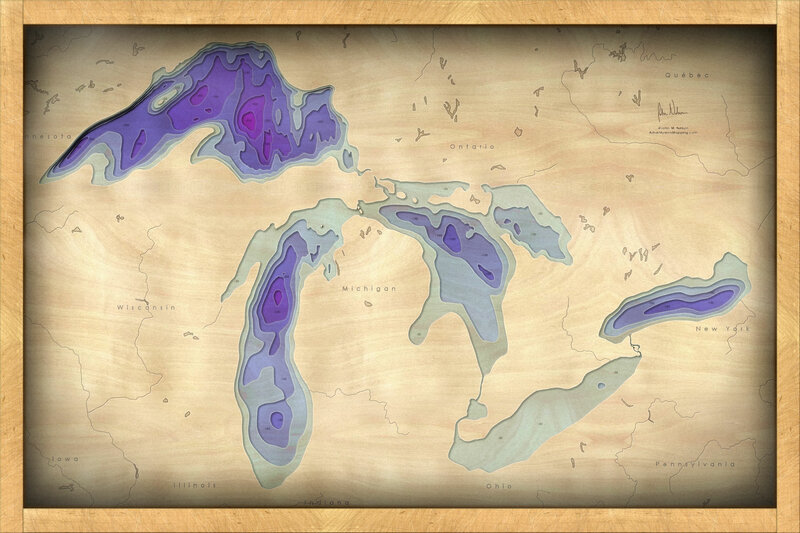 You can download the wooden map’s ArcGIS Pro project here. 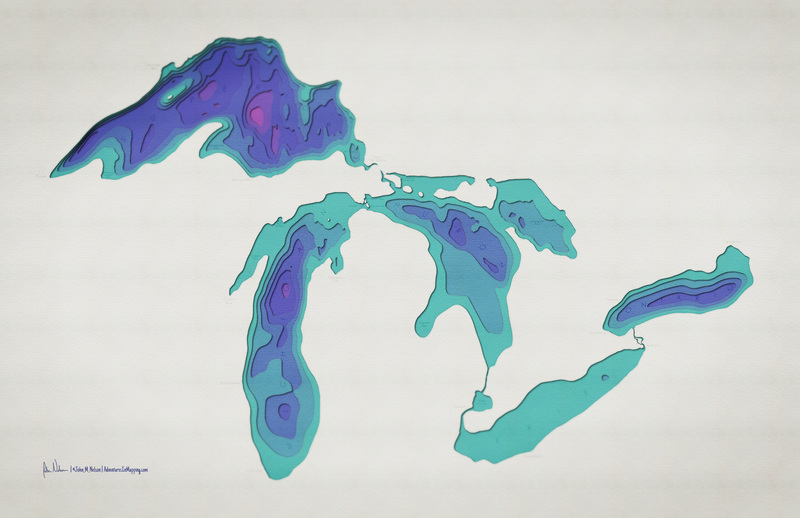 These are beautiful maps – well done.